China’s annual auction of cotton will run a month longer than planned because of a 47% run-up in prices over the past five months and complaints of shortages by mill owners. China, ahead of this year’s auction, had accumulated a cotton stockpile big enough to produce 10 billion pairs of jeans. The huge stockpile came about as part of a program of cotton buying by the government with guaranteed minimum prices to improve the livelihoods of Chinese cotton farmers. The government said on Monday that daily auctions, which began May 3, will continue through September rather than the end of August, and it is forecasting it will sell more than the two million metric tons it initially targeted. The news that more cotton will be made available did little to damp the market. The three-month cotton contract settled up 1.1% at 15,045 yuan ($2,265) a metric ton on the Zhengzhou Commodity Exchange on Monday. The three-month contract touched its highest level since May 2014 in late July, at 16,185 yuan a metric ton. 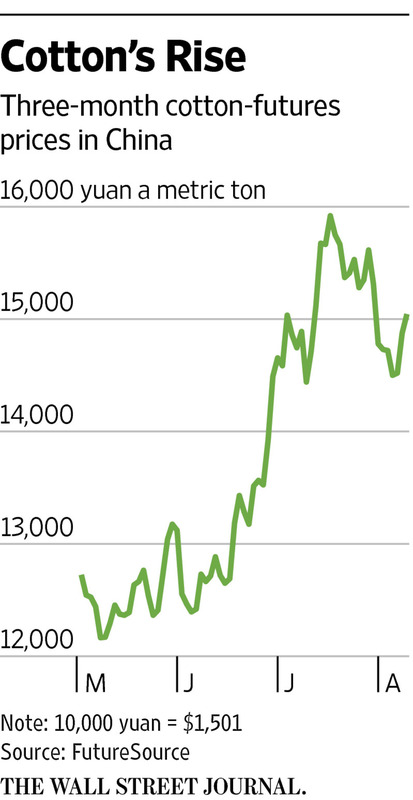 That is a huge turnabout for China’s cotton: Just five months ago, prices were at their lowest level since 2004. Then, traders were skeptical there would be sufficient demand for cotton from the government’s reserves after similar sales in 2015 failed to reach public targets. China’s government continues to tightly control cotton imports into the country through a quota system and significant import tariffs. China consumes slightly less than a third of the world’s cotton, and import demand—or lack thereof—plays an important role in global pricing. Over the past two years, prices for cotton were capped by concerns about China’s growing stockpile, around 60% of world stocks. Although the government sells nearly all of its cotton at home, China is such a big player in the market that unloading a further chunk could depress global prices by reducing how much foreign cotton is bought by Chinese businesses. Demand for cotton has come from textile manufacturers, which produce the likes of jeans and shirts for global markets. Mill owners need more cotton: Imports in the first six months to June 30 were down 54%, as China has kept a tight hold on the amount of cotton allowed to be imported, and local production is expected to contract 4.4% in the year to July 31, 2017, according to U.S. Agriculture Department data. The auctions will now be extended through Sept. 30, one month longer than planned, to meet the needs of the cotton textile industry, said the National Development Reform Commission and the Ministry of Finance in a joint statement Monday. China could sell more than the two million metric tons initially earmarked for sale at the auctions if there is demand, it added, without giving specifics. The extended timetable comes after concerns were raised in the market by industry groups about the growing shortage of the commodity in the mainland. China had sold 1.7 million metric tons of cotton as of Aug. 5 through the auctions, or 15% of its 11-million-metric-ton stockpile. 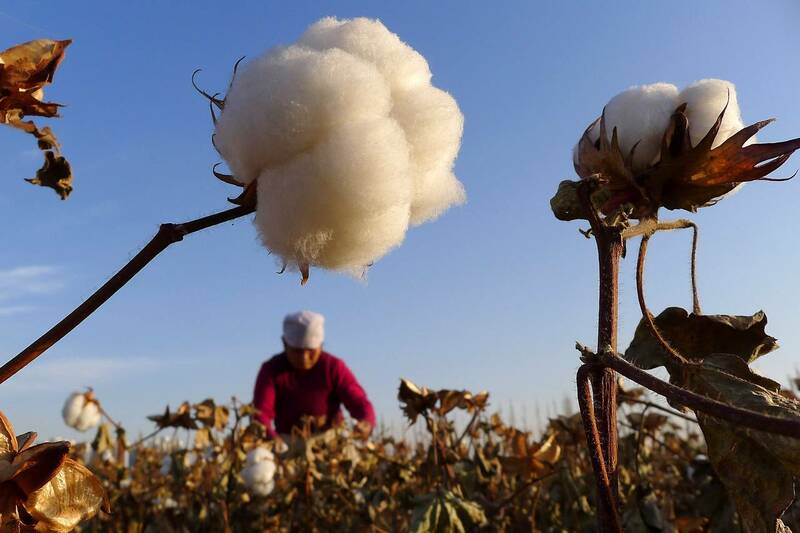 Of that, 296,000 metric tons was imported cotton while the remainder was domestic product, according to China Cotton Information Network statistics. The stockpiles date back to a government buying program introduced in March 2011 that set a floor for cotton prices while making sure there was sufficient cotton in reserve to protect mills from any global shortages. But with global cotton prices dropping, China chose to store the cotton rather than sell it on. The outcry among mill owners for access to more cotton is partly a result of the surge of middlemen hoarding cotton stock. Qin Junjie, head of sales at the No. 1 cotton-ginning factory of Xinjiang Lihua Cotton Industry Co., said that the extension of the auction will help curb the speculative mood and ease panic. But while more supply is good news for China’s mill owners, it doesn’t change expectations that China won’t be ramping up its cotton imports anytime soon. “Their imports have been falling quite dramatically over the last couple of seasons. But it’s going to take awhile for them to work through what they have sitting in their stockpiles,” said Georgia Twomey, commodity analyst at Rabobank. “Over the next couple of years, imports will be subdued,” she added.